Only a handful of works can contest for the title, “Song of the '60s.” “Chimes Of Freedom” is a frontrunner. It remains powerfully resonant because it has been fortunate enough to have led many lives, and may look forward to many more. Aside from the formative Folk track that can be heard on 1964’s Another Side Of Bob Dylan, in 1965, The Byrds nailed the number to the wall in their unmistakably Psychedelic Folk-Rock style. 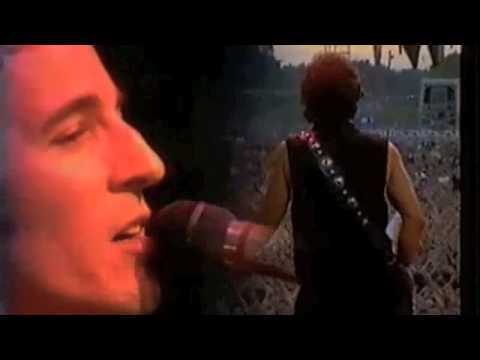 Bruce Springsteen opened up the song to the wondrous possibilities of power Rock in live cover versions, most notably in East Berlin in 1988 during one of the most emotional performances of his (or any other) career, a full year before liberalization and the first steps toward German re-unification. 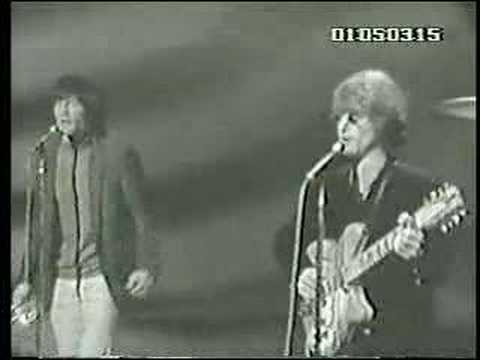 Along came the producers of The '60s, a 1999 television mini-series that is more soundtrack than movie, and asked Dylan if they could use “Chimes Of Freedom.” Instead, he rehabbed his old Folk version, corralling elements from The Byrds’ rendition and certainly a few attitudinal cues from Bruce. He brought Blues-woman Joan Osborne on board for a duet. Al Kooper contributed a cheerful-but-sinister, hot-fingered organ accompaniment reminiscent of his and Dylan’s work on 1965’s “Positively 4th Street,” “Like A Rolling Stone” and other cuts off Highway 61 Revisited. Although the Dylan-Osborne recording is now a ripe peach of nostalgia itself, the blend of old Dylan plus the cover artists’ influences fused to new Dylan help to deftly update the song, which can never truly grow old. Its general topics, its appeal to human virtue, its sense of right and wrong – the utter organic wholeness of the quest for human rights on every level – render the song immortal. The Dylan-Osborne collaboration features his earnest protest-movement strumming. Her bluesy Rock guitar is pointed and trenchant, slightly languid, colored with Country funkiness. Their voices mesh well, the effect redolent of other times, places and passions. We can’t help but recall the duets that Dylan and Joan Baez (left) sang at the March on Washington in 1963 or on stage at the Newport Jazz Festival and Philharmonic Hall in New York in ’64. “Visions of Johanna” times two: Baez and Osborne. May our children know and love this song. May they not have to sing it in the streets, at monuments, in their basements or dorm rooms. May they actually gaze upon the chimes of freedom flashing. Dig through our treasure trove of Dylan merch – albums, shirts, posters, DVDs and more. A healthy section of “Chimes Of Freedom” was written on hotel stationery from the Waldorf Astoria Hotel in Toronto. Senegalese singer and band leader Youssou N’Dour, the biggest African musical star of his generation – some say of the century – performs a tri-lingual cover of “Chimes” in French and a Senegalese regional language with the chorus in English. Ballad Of A Thin ManA wild, morose piece – good background music against which you might throw yourself off the nearest bridge. My Back Pages (Live)The classic is transformed from Folk-song period piece into a grand work of art forged live in the furnace of New York. Like A Rolling StoneA worshipped icon, held aloft and offered as proof – of what, you can never tell. Visions Of JohannaThe song's abstract impressionism remains a landmark moment when Rock emerged from the egg of Rock-N-Roll. A song about the death of a beloved parent becomes a universal lament. There was no hint he would become one of the greatest Rock performers of all time. Quite the contrary. Recorded during the rise of Punk, "Red Shoes" injected nihilism-lite into the mainstream of Anglo-American music. Then along came the '60s generation's "Marseillaise," stirring, pompous, promising upheaval, loving the tumult. The pounding choruses echo the interior pounding, the unresolved secret, this... emanation of the heart.